Almost everyone I have met who is into hunting, started hunting with their father. If they’re female–it was either their father or husband. They almost all started by hunting whitetails. My dad was born and raised in Toronto and had never even seen a gun. Anyone I dated as a young woman, had never hunted before. I wasn’t introduced to the sport until I took a housekeeping position at a pheasant hunting camp when I was eighteen. In an effort to pursue a lodge management program, I found myself involved in an internship at a ranch in beautiful British Columbia. Since I was so involved in the pheasant hunting club every fall, the only other hunting season I could participate in was black bear. Ontario had over a ten year period where they discontinued the spring bear hunt. It wasn’t until the last few years, that it has been re-established. Although I still had never hunted myself, I accompanied hunters at the ranch on numerous bear hunts, where I learned how to skin and field dress. To date I have skinned close to 50 bears. I later went on to guide bear and moose hunts out west. The first animal I personally hunted was black bear. A friend and I had stalked two other bears during this hunt, and it was the third bear we saw that we decided I should take. The rushing of the river behind us masked any noise we made and the wind carried my sent away from the animal. I used a dead log as a rest and took my time to set up the shot. I successfully harvested the bear. Later on, I guided moose hunts too. One time, I managed to call in four large bulls. I will always remember one in particular. I made my calls and after a few hours, I saw a bull crashing through the woods grunting and stood just 40 yards away from me and the hunter. Last fall, after successfully improving my shot on pheasant, I decided to take my first deer. I was late to applying, so I carried a crossbow. With the help of a fellow co-worker, he showed me the areas to go to increase my chances of taking a nice buck. I sat in the woods every morning for over a week. The first close encounter I had was with a doe. Not only did she smell me, she also heard and saw me. That was when it dawned on me. Although I had gained significant hunting experience with bears and moose, deer were actually a lot harder to hunt. The only sense bears have working for them is scent. As long as you are aware of wind direction, it isn’t difficult to stalk into close range of a bear. Moose have great hearing, but they are only listening for one thing during the rut. If you can mimic a noise that even resembles a cow, your success rate has just increased. I made a stupid assumption with whitetail. I presumed from it being such a popularly hunted animal, especially with beginners, that I was going to be a natural. That was far from the case. Not only was I less than stealthy with my movements in the presence of the animal, I also made a second stupid assumption. I am skilled with a rifle, but I am far less accurate with a crossbow. My big moment came the morning of the second week of hunting. I sat in the roots of a large oak tree scanning the open woods in front of me. An overnight rain had softened my footsteps into the area among the fallen orange and red leaves. The trees were spaced apart so I had excellent shooting lanes in each direction. After only twenty minutes of sitting, the largest buck I had ever seen sauntered into view, tailed by a slightly smaller buck. It was a sight out of every hunters dream. Feeling overly confident, I watched them and waited for them to come into range. I sat motionless as the smaller buck closed in. I decided not to be greedy and seize the opportunity as the still impressive buck stood broadside at 30 yards. I lifted the crossbow as smoothly as possible and set the cross-hairs behind the shoulder. Feeling good about my placement, I squeezed the trigger. Feeling quite competent, I was sure I could field dress him and be back for breakfast in no time. I waited twenty minutes and then went to retrieve the arrow. I slowly started circling the area–which went on for an hour. There was no blood trail. Not even a speck. I had watched which way the deer had run, so I followed it and then circled wide to a clearing. There were the two bucks grazing on grass like the entire morning never happened. With my head hung low, I walked back to camp. Despite being such a popular beginner’s species to hunt, it was far more difficult to hunt successfully than other animals. 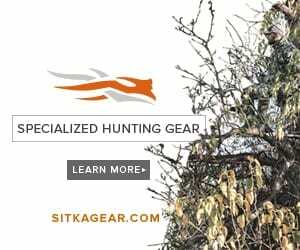 If I had learned anything from this experience–it was to do more research, more practice with my weapon and to be a hell of a lot more humble when it comes to hunting the great whitetail of the woods. NextWhat Does the Presence Or Absence of CWD Really Mean?